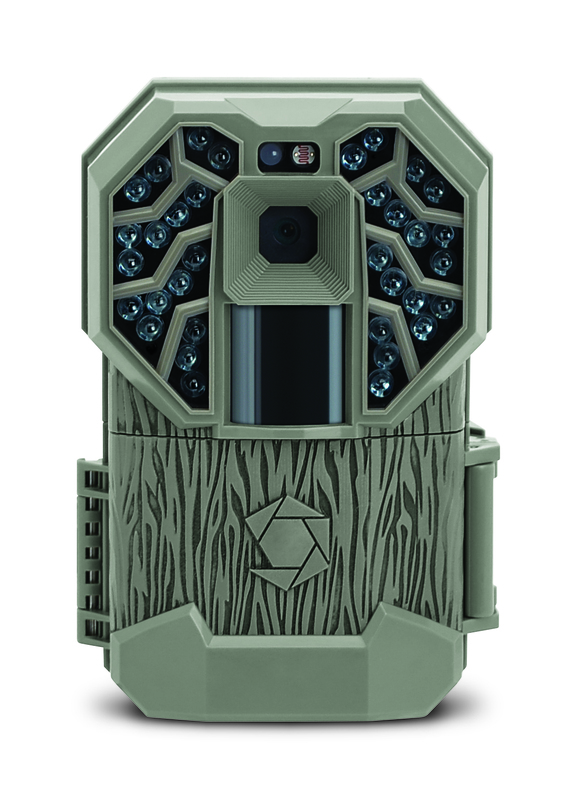 Grand Prairie, TX- Stealth Cam®, introduced in the year 2000, quickly became the leader in scouting camera innovation. Continuing to advance technology to the next level, Stealth Cam® introduces the new G34 Pro. The G34 Pro is 10% smaller in size than the original G series, and features a textured housing with rub to help blend in with its surroundings. Some of the more notable improvements include an adjustable PIR sensor that allows the camera to sense out to 100 feet, as well as security mode with SD card overwriting. Security mode ensures your card will never fill up and stop working, rather retaining the most recent information the SD card capacity can hold. The G Pro series feature the same easy to use interface with a digital LCD screen that reads out to you exactly what setting your camera is set to, so there is no guess work involved. Now shipping with preset date and time, you don’t have to worry about forgetting to set your date/time, and can eliminate one step of the set up process. Another important feature the G Pro series retain is our Matrix Advanced Blur Reduction technology. This allows the user to choose from two settings at night. Standard mode is chosen for optimal image quality when placed over an area you know the subject will be stationary (Feeders, small water holes, scrapes, mineral licks, etc). Advanced mode is chosen for the most usable images in areas with lots of movement such as food plots, trails, gate crossings, roads, and so on. By choosing advanced mode you will lose some illumination range at night (Approximately 15%) but you will always be able to tell what your subject is. Most serious hunters would agree that a non blurry image of that big buck is much better than blurry, unidentifiable antlers and body. Get the images every hunter dreams to see in the field with the G34 Pro by Stealth Cam®. This camera can be purchased at major sporting goods retailers and pro-shops, as well as online retailers. Founded in 2000, Stealth Cam, LLC offers a variety of digital scouting/surveillance and specialty cameras, along with a variety of accessories to enhance output of these products. For more information, contact: Stealth Cam, LLC, 3385 Roy Orr Blvd. Grand Prairie, TX 75050, Phone: 877-269-8490, http://www.gsmoutdoors.com/stealth-cam/ or email info@stealthcam.net. Stealth Cam is a division of GSM Outdoors. Learn more about their brands at www.gsmoutdoors.com.